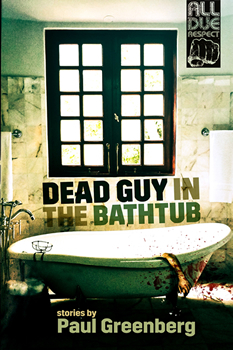 DEAD GUY IN THE BATHTUB is a collection of crime stories with a dark sense of humor and irony. These characters are on the edge and spiraling out of control. Bad situations become serious circumstances that double down on worst-case scenarios. A Lou Reed fan gets himself caught on the wild side. A couple goes on a short and deadly crime spree. A collector of debts collects a little too much for himself. A vintage Elvis collection to lose your head over. A local high school legend with a well-endowed reputation comes home. Paul Greenberg’s debut collection is nothing but quick shots of crime fiction. I hope they find that it was a fun and quick read. It carries on the tradition of crime short stories. I have a very strange sense of humor. Charles Willeford, Elmore Leonard, Raymond Chandler, Horace McCoy. All have shown a dry sense of humor and snappy dialogue. Paul Greenberg has been writing since he was a child. His first published work was a review of The Police at The Rat, a legendary Punk club in Boston. An avid reader of crime fiction, Paul started writing and submitting to crime fiction journals in 2012. 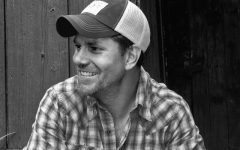 Since then his work has been placed in Out of the Gutter/The Flash Fiction Offensive, Shotgun Honey, All Due Respect, Horror Sleaze Trash, Yellow Mama, Spelk, Thrills Kills & Chaos and Near to the Knuckle. Paul spent many years working in record stores in the Boston area, and is a former employee of Capitol Records. He resides on the Northshore of Boston with his wife and two sons.